Your dog’s grooming process will be incomplete if you ignore cleaning their ears. In fact, ear cleaners have a significant role in the hygiene of your dog. All pet owners are aware that ear is a highly sensitive organ. If you purchase the best dog ear cleaners, you can efficiently remove dirt, debris, and wax inside your dog’s ear without any irritation or pain, which will worsen the ear problem. The dirty ear canal is the major cause of lots of dog ear problems. It occurs due to lack of grooming knowledge and the neglect by pet owners. These best dog ear cleaner reviews will help you maintain your dog’s ear health. Dog Ear Cleaner: What does it mean? However, you must keep in mind that you cannot address all types of dirt in your dog’s ear by using one general solution. If you do not clean your dog’s ear regularly, the wax, dirt, and dust will accumulate in their ears. If you neglect the issue, it will harden inside their ears and cause an infection of ear canals, which will damage the ear drums as well. ​Ear cleaner for a dog is a special product, which is used for solving chronic or acute ear infections. Ear infection is a common problem for most dogs. Dog ear cleaner can be purchased without prescription because it is free from antibiotics. Ears of a dog create lots of problem because of many reasons such as itching, infections, wax build-up, ear mites, etc. All these problems can be prevented by cleaning dog’s ears regularly. However, using a high-quality ear cleaner is highly important for solving the present ear infection and preventing your pet from getting another one. Though cleaning your dog’s ears is very easy, proper knowledge about the underlying problems is essential for purchasing the right ear cleaner. Cleaners that work on the dogs of your co-workers’ or neighbors may not be suitable for your dog. Therefore, getting advice from your vet before purchasing an ear clean solution is always preferable. The ears of a dog are not universally shaped. Therefore, the possibility of ear infections varies from breed to breed. 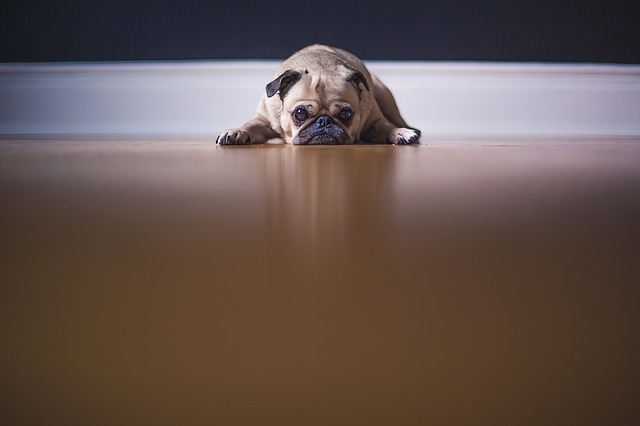 If your dog has hairy or floppy ears, they are more prone to infection issues. The ear canals of a dog also vary from breed to breed. There may be a right angle bend in the canal. Thus, the ear canal of your dog may go vertical to horizontal. As a result, the ear of your breed may collect lots of debris and settle inside the ear. If your dog suffers severe pain due to ear infection, a simple cleaning session may not be effective. In such cases, you should visit your vet as soon as possible. The Zymox Otic is manufactured by using three active enzymes, which have strong antibacterial, antiviral, and antifungal properties. This pet ear treatment comes with 1% Hydrocortisone. So, it is highly effective for treating chronic and acute externa due to fungal, bacterial, and yeast infections. A suppressed immune system, excessive skin folds in the ear, and excessive hair are some of the causes of possible ear infections. Hydrocortisone is extremely effective for providing relief from inflammation and itching. 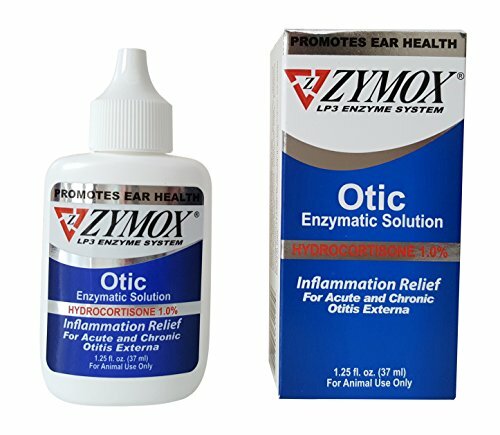 The Zymox Otic Pet Ear Treatment can be used for both cats and dogs. The three-point enzyme system that is used in this formula are lactoferrin, lysozyme, and lactoperoxidase. Each enzyme has its own properties. When these three enzymes are combined, it becomes a highly powerful antimicrobial formula. The Zymox Ear Cleaner offers a non-toxic, effective way for managing dirty ears. Bio-active enzymes are used for manufacturing this ear cleaner. It does not contain any harsh chemicals or cleaners. Enzymes such as lysozyme, factoferrin, and lacoperoxidase are very popular for their natural bio-active properties. Thus, this ear cleaner is highly effective for controlling mild microbe. It has gentle cleaning surfactants, which makes it perfect for cleaning the dirty ears of dogs. The Epi-Optic Advanced is formulated on the basis of anti-adhesive technology. Thus, this non-irritating ear cleanser is effective for preventing microbial attachment. The patented anti-order technology prevents ear canal odor. The Virbac Epi-Optic Advanced is extremely useful for pets with chronic otitis externa. You can purchase it even if your dog has sensitive ears. It contains 0.2 percent salicylic acid, a cleaning solution that contains a mild citrus aroma. Before purchasing a dog ear cleaner, you should evaluate your pet’s condition very carefully. The right product and right procedure are essential for keeping the ears of your dog healthy. Lots of ear cleaners are available on the market. However, you must be aware that all these products are not created equally. The ear cleaner should be as gentle on the ears of your dog as possible. It should be free from vinegar, hydrogen peroxide, and alcohol. They irritate the skin of your dog and it may cause more pain. If a dog’s ear cleaner will have the ability to act as an antifungal and antibiotic ear treatment, it will help to prevent potential infection or inflammation. As mentioned earlier, dog’s ear canal is very sensitive. So, a cleaner that contains natural ingredients will be highly beneficial. Ingredients such as eucalyptus and aloe vera have natural anti-inflammatory properties. If the treatments contain aromatherapy elements, it will sooth your dog’s nerves. ​Therefore, a careful evaluation is highly essential for picking the right product. These best dog ear cleaner reviews will surely help you to provide the best to your dog. ​Best Bones For Dogs: Make Them Happy And Healthy!